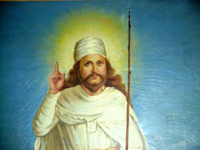 This Web Site is a joint effort of Cyrus Engineer and Veera Mavalwala, two concerned Parsi Zarthostis from New Delhi. Cyrus Engineer is the Director of Industrial Boilers Ltd. and IB Turbo Pvt. Ltd. These companies manufacture Steam Boilers and Turbines with manufacturing bases at Vapi and New Delhi. Besides Engineering, Cyrus has interests in Renewable Energy Research and is advisor to several Research institutes. 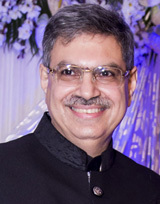 He is a trustee of the Delhi Parsi Anjuman and is also interested in the science behind Vaastu and Freemasonry. He is happily married to Kaenaz. 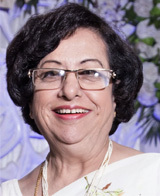 Veera Mavalwala is a Trustee of the Delhi Parsi Anjuman and has retired after 44 years of working with Companies like ICI India, The Oberoi Group, Electrolux, LeasePlan, Unitech and Milagrow. She does free-lance Corporate Training in Stress Management, Personality Development and Communication. She is a Grand Master in Reiki. She is a Past Chairperson of the Indian Association of Secretaries & Administrative Professionals and is currently heading their advisory committee. She has organised many events for this organisation. She is happily married to Farokh. KiranMakhija is a Graduate and has retired after working in Anand Group for 30 years. She has completed Two levels of Reiki. 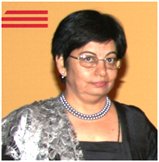 She is a Past Treasurer of the Indian Association of Secretaries and Administrative Professionals. She is now a member of the Chaalokaajkariye Team and handles the match making activities, telephones and correspondence. WISHING YOU ALL SUCCESS IN FINDING THE RIGHT PARTNER AND PRAY YOU HAVE A LONG, HAPPY & CONTENTED MARRIED LIFE!